A huge Shout Out to Lamps Plus for sponsoring the chandelier in this space. 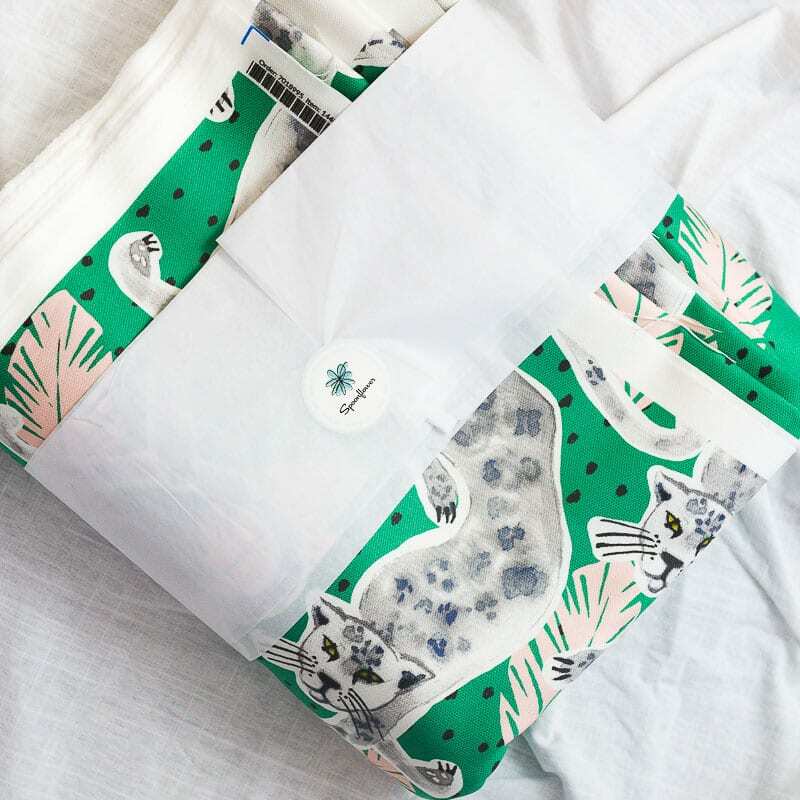 Without their quality product and friendly service then room would be far less inspiring. I promise. I know…right?!? All of the heart and kissing emojis imaginable can’t measure up to how thrilled I am with this chandelier… but I’ll give it a try. 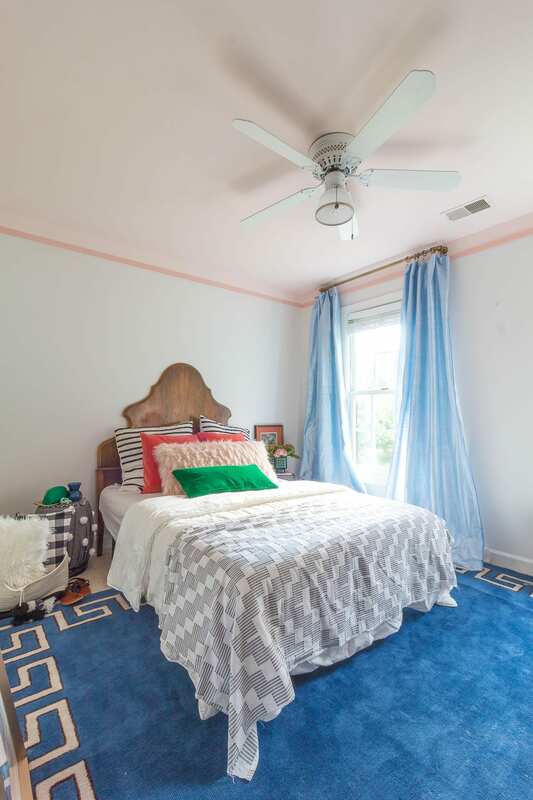 This Possini Euro Andre Chandelier truly took this teenage girl’s room from pretty to uber fancy! *16 4. 875 watt SMD LED modules- Which means it comes with bulbs that I don’t plan on changing for a LONG TIME! I have to admit something to you though…It didn’t go off without a hitch. It’s not the chandelier’s fault…no really. It’s just that I didn’t measure correctly. The current state of things is how I imagined the chandelier looking, but in actuality the first attempt resulted in a chandelier that hung lower than my eyeballs. Not even joking. Thankfully I’m married to a particularly helpful husband who spent an hour an an half cutting, sanding, and JB Welding the rod of the chandelier to be the perfect length. Thanks Babe. I owe you big time! 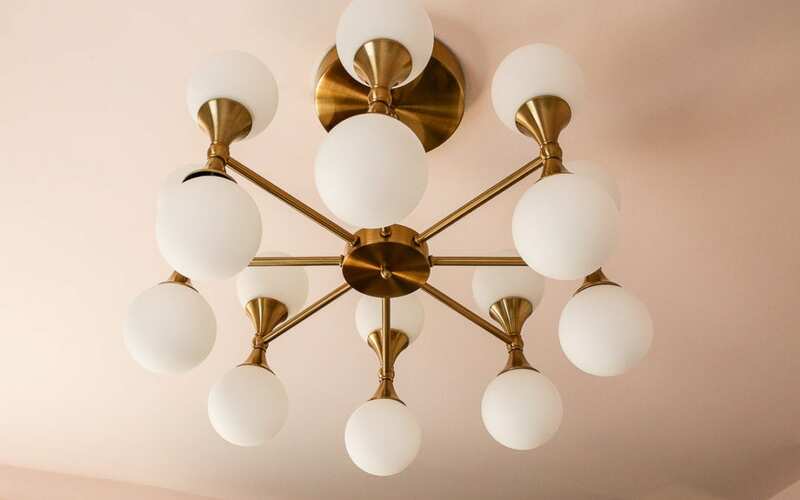 Soooo, IF you plan to buy this (or any other) chandelier please learn from my mistake and check, double, and triple check the dimensions. Some fixtures come with a few different length rods, but this one doesn’t. It is totally my fault for not reading the description more carefully. 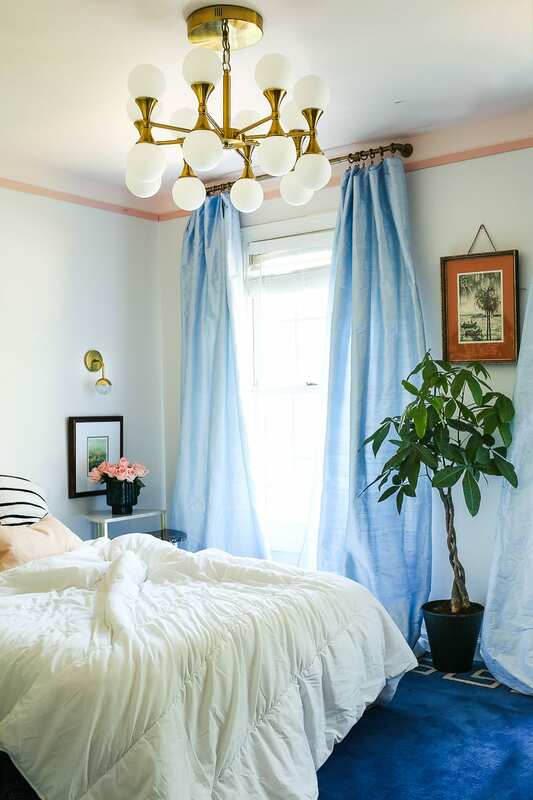 In the end I could lie and say that I wish I had been more detail oriented, but that would probably have resulted in me choosing a different chandelier… so that would indeed be a lie . I should also mention the cute pair of little sconces are also from LampsPlus.com. It’s called the Hudson Valley Boca 9 1/2 in Wall Sconce, and I picked them up for my bathroom in the last house. Luckily they made the move with us. 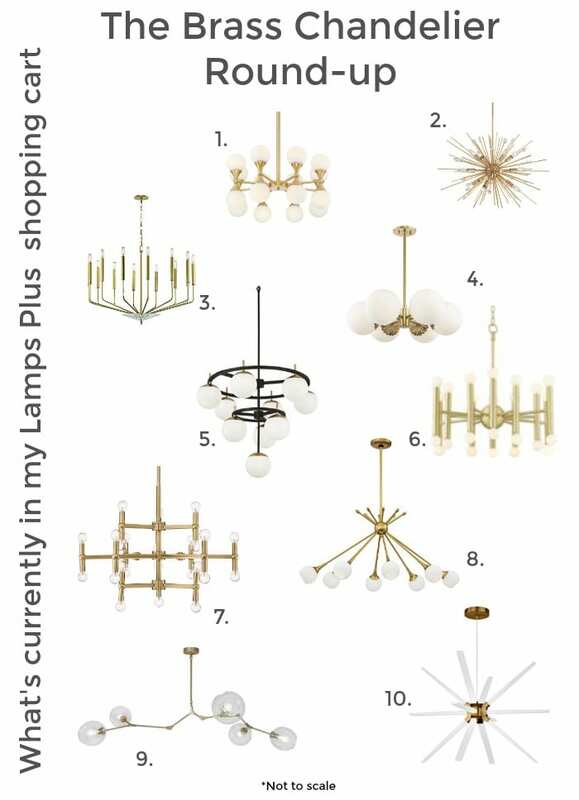 Speaking of different chandeliers, I have compiled a list of the other brass beauties from Lamps Plus that I had (or still have) sitting in my shopping cart. Aren’t these fab? I’m scheming up places to install a couple more of these gems in our new home. Which one do you like best? 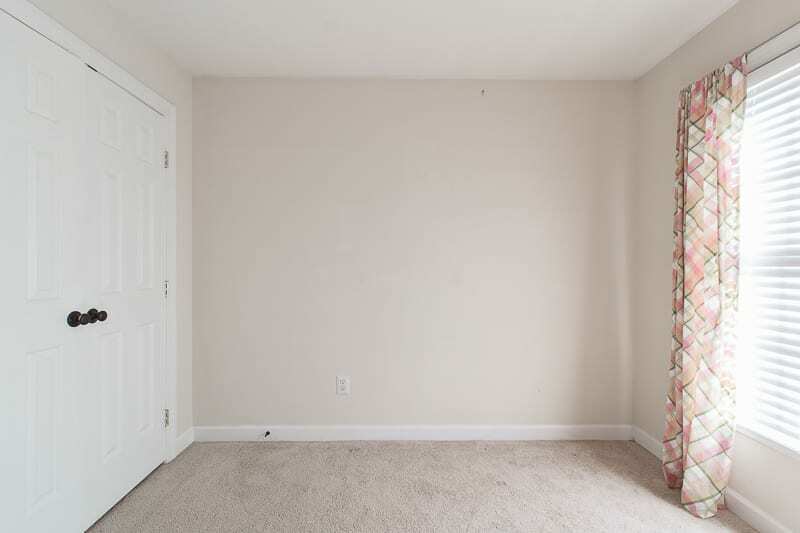 There are still so many changes coming to this room. Click HERE to see the game plan and design board. HINT: I just upholstered the headboard in this 👇 fabric from Spoonflower and I’m LOVING IT!!!! Aren’t you curious to see how it all turned out?